Another week, another chance to grab a “cheap mortgage”. For the 36th time this year, mortgage rates begin the week below 4% on average, with rates for VA mortgages and FHA mortgages leading the way. VA home mortgage rates, which are available to military borrowers nationwide, currently average near 3.625% plus closing costs; and FHA mortgage rates average near 3.75% plus costs. Rates are roughly 80 basis points (0.80%) below their levels at the start of last year. The drop has bestowed upon today’s homebuyers a huge bump in purchasing power, and has made a refinance mortgage possible for millions of U.S. homeowners. Mortgage rates change daily, though, and rates could move out of favor, quickly. The Federal Reserve meets this week. The group is not expected to raise interest rates after its scheduled 2-day meeting adjourns, but current mortgage rates could be in flux. Shopping for a mortgage will require readiness. 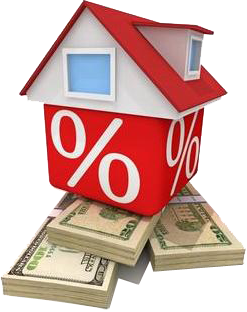 Your best move as a shopper looking for the best mortgage rates today may be to lock your rate quote early. By the end of the week, mortgage rates may be worse. Mortgage rates are low. According to Freddie Mac’s weekly survey of mortgage lenders nationwide, conventional 30-year fixed-rate mortgage rates averaged 3.79 percent last week for buyers willing to pay an accompany 0.6 discount points at closing. These rates are markedly lower than what analysts, economists, and consumers predicted for this year’s interest rates. Few expected rates in the 3s to last into November. It now appears that rates will begin 2016 equally low. Home purchase activity is expected to climb, and lenders now plan for an additional wave of home loan refinances through the end of this year and into the start of the next one. Refinance activity was its largest in 8 quarters between June-August as volume increased in the “streamlined refinance” category, including loans via the FHA Streamline Refinance program and the VA IRRRL. The refinance surge comes at a cost, however. As a lender’s business swells from new customers, the bank’s ability to close loans quickly diminishes, which adds to overall loan costs for everyone. According to Ellie Mae, a mortgage software company whose software manages more than 3.5 million mortgage transactions annually, the average time to close on a mortgage has climbed six days from last year, reaching 46 days nationwide. These additional six days of processing have a real effect on mortgage rates. Because it takes longer to close a loan, U.S. mortgage rates are higher by as much as 12.5 basis points (0.125%). If you plan to buy a home or refinance one, then, consider getting your loan in process soon. As everyone else rushes to apply, your loan rate may rise again. With mortgage rates down and home values up close to 30% since 2012, millions of U.S. homeowners are potentially eligible to refinance to lower payments. Refinancing to a lower rate and payment is what’s known as a “rate-and-term” refinance. A rate-and-term refinance may include lowering your mortgage rate from the 4s into the 3s; reducing your loan term from 30 years to 15 years; or, refinancing to a similar rate for there purposes of removing your mortgage insurance requirements. Rate-and-term refinances are available for loans of all types. They sometimes go by different names. The rate-and-term refinance of a conventional loan — that is, a loan that is backed by Fannie Mae or Freddie Mac — is known as, simply, a refinance. There is no special title assigned. Rate-and-term refinance loans for other loan types, however, are typically performed as exclusive programs for holders of those given loan types. For example, the majority of rate-and-term refinances conducted for military borrowers with a VA home loan are performed under the Interest Rate Reduction Refinance Loan (IRRRL) program. Pronounced “earl” and often called the VA Streamline Refinance, the IRRRL program is streamlined refinanced program, which waives most paperwork, credit, and documentation requirements for the borrower; and, does not require an appraisal. VA refinance mortgage rates have “beat” conventional rates by an average 30 basis points (0.30%) since mid-2014, according to Ellie Mae. There’s an exclusive refinance program for FHA-backed homeowners, too. The FHA program, known as the FHA Streamline Refinance, also waives income, credit, and asset paperwork for the borrower and does not require a home appraisal. Its rates are better than the conventional refinance, too, but not as low as VA mortgage rates. And, for homeowners with an existing USDA mortgage, there’s the USDA Streamline Refinance. Similar to the IRRRL and the FHA Streamline Refinance, the USDA refinance loan requires little in the way of documentation and verification; and offers below-average rates for eligible homeowners. Then, there’s HARP. A refinance loan made specifically for homeowners with conventional loans whose homes have lost value since the date of purchase, HARP refinance loans will sometimes waive paperwork, but can only be used by homeowners whose loan-to-value is above 80%. Any of the above refinance programs can help homeowners who want to take advantage of today’s low mortgage rates. The trick is to apply before mortgage rates rise. While mortgage rates may stay low for a while, there’s no promise they’ll stay low forever. The best way to lock up savings is to lock-in with a rate. Get started by checking today’s live rates. The money you save could be bigger than you thought. Mortgage rates are low and the housing market is ripe for refinance. No matter when you purchased your home, you may be eligible for a refinance to today’s low rates. Your costs may be low, too.